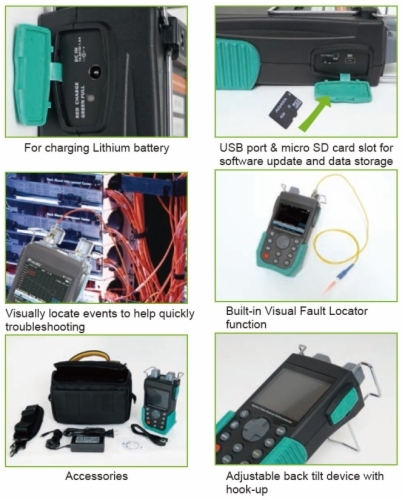 MT-7610 is an advanced diagnostic tool for optical fibers to help engineers quickly troubleshoot problems, allowing them to visually locate reflective events like connections and fiber breaks and non-reflective events like splices and tight bends by studying the graphical trace. Automatic one-button testing, wavelength support 1310, 1550nm. Palm design, small, lightweight, easy to carry. High contrast 3.5 inch color TFT LCD. Detect short dead zone event accurately . 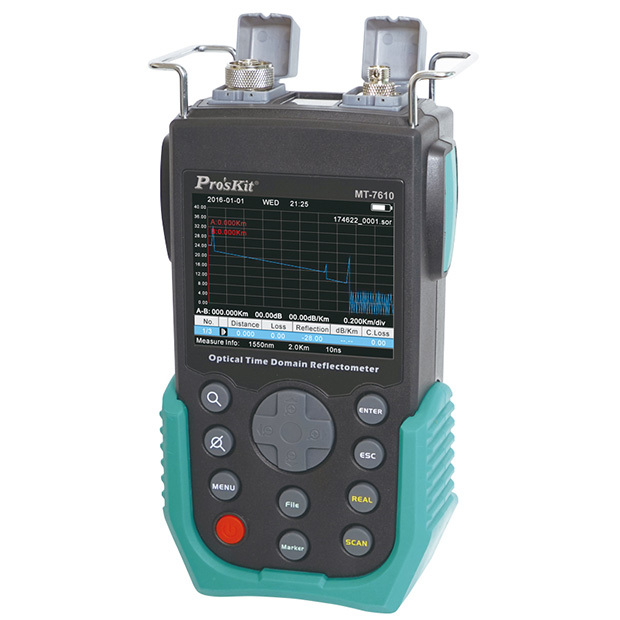 High speed signal processing, short test time and fast analysis. USB port connect to PC for software update and data output. User-friendly OTDR simulation software shows details of events. Built-in visual fault locator function. Comes with rechargeable lithium polymer battery, support max 8 working hours.